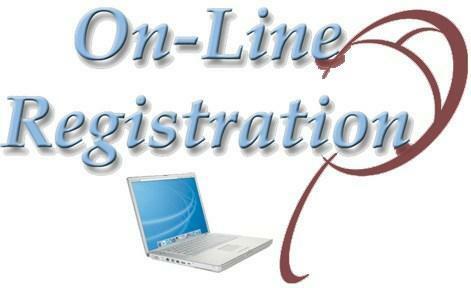 All new student registrations K-12 are conducted at the Student Registration Office located at 1400 Eighth Avenue. The office hours are Monday through Friday, 7:30AM – 4:00PM. (Summer hours are Monday through Friday, 7:30AM - 3:30PM) Call 381-7585 for an appointment. Only the natural parent, or court appointed guardian may register a student for the Altoona Area School District. If you have computer access at home or work you can complete the New Student Enrollment forms online and schedule an appointment to come in and complete the registration. The appointment should not take more than 15 minutes if the online packet has been completed. Please do not forget to bring to the registration appointment the items listed to the right. If you do not have a computer at home or work, you can come into the Student Registration Office and use one of the available computer kiosks to complete the student registration for your child. Please remember to bring with you the items listed to the right. The process will take approximately 45-60 minutes. -access link in e-mail to complete the New Student Enrollment: Application Form. If enrolling more than one student, after completing the initial enrollment, select the "Click to Enroll Additional Students" button to enroll additional students. -access your Skyward Parent Access account. -click the New Student Online enrollment option under the Home text on the left of the screen. Upon submitting the online form, you will be contacted within 3 business days to set up an appointment to complete the enrollment process - or - you may call 381-7585 for an appointment. If you do not have a computer at home or work, call Student Registration office at 814-381-7585 and request a printed copy be mailed to you. Complete all of the information then call 381-7585 for an appointment to complete the enrollment process. If you do have access to a computer and printer, print the PDF document below and complete all of the information then call 381-7585 for an appointment to complete the enrollment process. NOTE: Page 6 - Kindergarten Notification of Teacher Meeting Letter and Pages 7-8 - PreSchool Survey pertain to ONLY students being registered for Kindergarten. The PreSchool Survey does NOT need to be completed for incoming students in grades 1-12. A Pre-Kindergarten readiness program that will enhance your child academically, socially, and physically, as well as aid his or her transition into Kindergarten. Proof of Age: Official birth certificate (preferred), hospital certificate, baptismal certificate or the ORIGINAL notarized statement indicating name, date of birth, and place of birth. Photo ID (Parent or Guardian) If an adult other than the parent is registering the child, a copy of the Guardianship papers or a sworn affidavit must be presented at registration. Proof of Residency: Current lease, utility bill or photo I.D with correct address.